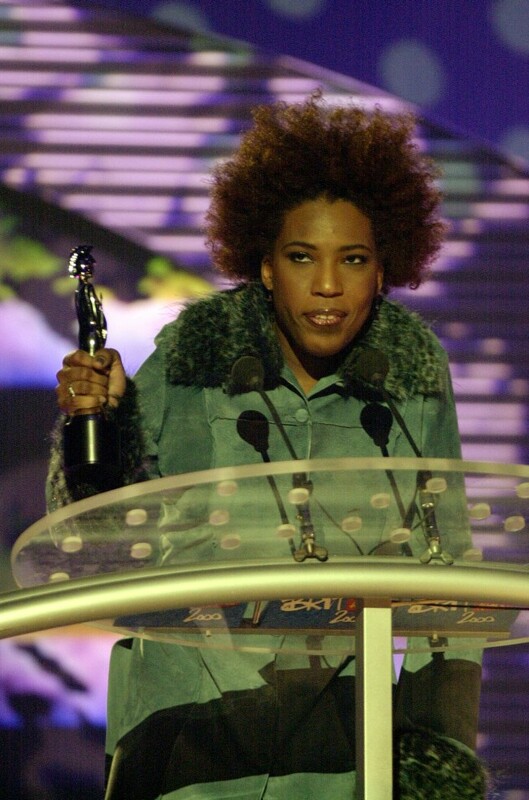 American R&B singer Macy Gray receiving her award for Best International Newcomer, during the Brit Awards 2000 ceremony, held at Earls Court in west London. ONE thing that has always been a major force in music, is marketing. Songs don’t accidentally find their way to listeners, unless you’re a crazy crate digger who actively looks between the cracks for music. One of the finest pieces of music marketing, one that stills hangs around subtly today, saw Macy Gray becoming a huge star (albeit briefly). The job they did on her was magnificent. Basically, so sly was the campaign behind her, that listeners convinced themselves that they’d discovered her all by themselves. The campaign was expensive, but so slight, that no-one really noticed. Everyone wondered where ‘I Try’ came from. It was huge. Fans felt like Macy had become famous on fan power alone. It was a masterclass in marketing. However, Macy’s second LP was rubbish and she soon disappeared. The flipside of that is the ironic, aggressive marketing plan, for which Lily Allen is a maestro at. Already having a platform, she started ramping up and dropping music and started a number of beefs, courted some controversy, gave some soundbitey interviews and, KAPOW! It was old-school marketing that go everyone’s attention. She’s guaranteed a number one return, thanks to ruthless pricing… and The Horrors have noticed. Rhys Webb of the band has criticised the fact Lily Allen’s new album ‘Sheezus’ is being sold for just 99p by Google Play. Of course, The Horrors here, are using the tried-and-tested indie marketing ploy of defining one band’s music as ‘the real deal’ against something else that is more market driven. As such, the new Horrors’ LP is at Number Six in the charts. Weirdly, simultaneously to all this, is the new Macy Gray. With an incredibly feint promo campaign, is Paolo Nutini, currently at Number Two in the album charts. He’s been drip-fed and carefully had TV slots chosen, so he doesn’t end up being rammed down your throat, all the while, being kinda omnipresent. Nutini never went away. Everyone feels an emotional connection to him because, like Macy, they feel like they’ve discovered him for themselves. You can bet that ‘Sheezus’ will go to the Toppermost of the Poppermost, before skulking off in a few weeks. The Horrors may see small peks during the festival season, while Nutini’s softly-softly approach will invariably see him outselling both acts, and hanging around the charts for the rest of the year while the others end up drifting off. It’s the difference between Duffy’s absence and Adele’s all-conquering work. While Lily might be making the biggest racket, you just watch Nutini, hidden away on the radio in the cafe on Eastenders, on posters on the street in Hollyoaks, tucked away in the background, playing away while Nigella dusts her cupcakes and all the while, raking it in. Marketing and music. The long game always pays.